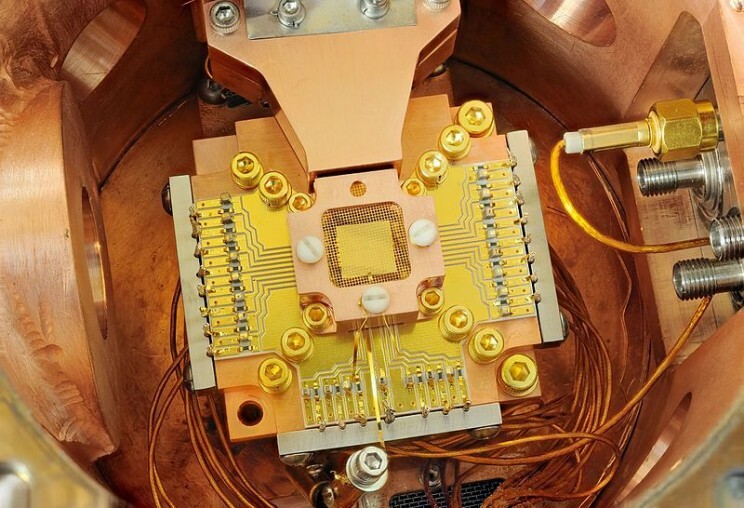 Quantum computing is all set to go beyond labs into the cloud – tech giant Google announced Bristlecone, a quantum processor which will provide a provide a testbed for research into system error rates and scalability of qubit technology, as well as applications in quantum simulation, optimization, and machine learning. Announcing the release Julian Kelly, Research Scientist at Google’s Quantum AI Lab noted that quantum supremacy can be achieved with Bristlecone and could be a compelling proof-of-principle for building larger scale quantum computers. Well, Google is not really the first company to make an attempt to commercialize quantum computing – IBM has made significant progress across the entire quantum computing technology stack first brought it to the cloud in 2016 with a 5 qubit quantum computer. In November 2017, IBM raised the bar by announcing a third generation of quantum computers with a 50 qubit prototype, a huge milestone for quantum computing, but there is no news whether it is commercially available. The company was quick to point out that it is not ready for common use. However, the company made a 20-qubit system available through its cloud computing platform. What’s behind the dash towards Quantum Computing? According to a research report from Morgan Stanley, quantum computing could hold the key to double the high-end computing market from $5bn to $10bn – that explains the reasons why companies are accelerating the mass adoption by moving quantum computers from labs to commercial activities. Outside of big tech companies like Google, Microsoft, Intel, IBM & Nokia Bell Labs, there are a slew of emergent players like Rigetti, a full stack quantum computing company, ionQ & D-Wave. However, the research also posits that quantum computing is not suited to all compute tasks and web servers will continue to store data but could gain a significant edge post 2025. Usher the fourth industrial revolution: Quantum computing has moved from fundamental theoretical research to an engineering development phase and could trigger the fourth industrial revolution, with significant developments in sectors where more computer power is required for R&D efforts – drug discovery in pharma, plane design in aerospace, well data analysis in Oil & Gas, polymer design in Chemical and predictive maintenance in manufacturing. 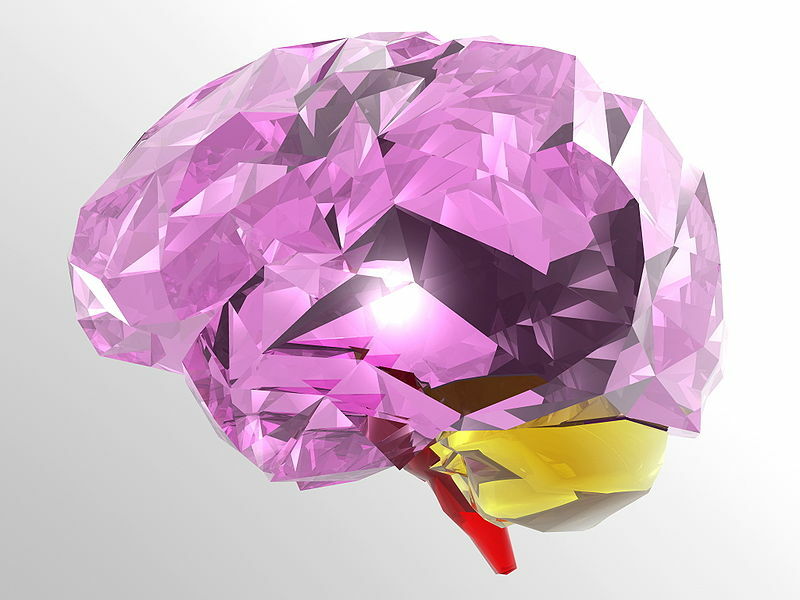 Use cases go beyond traditional sectors: According to Dr Vijay Pande, entrepreneur and Stanford Professor, quantum computing will have a profound impact in area where classic computers fail – such as the ability to model the chemistry (more precisely, quantum chemistry) of molecules involved in drugs, or in industrial processes such as energy, new advances in machine learning and novel cryptography. Add new revenue stream: According to Communications Industry Researchers (CIR), revenues from quantum computing are forecasted to grow from US$1.9 billion in 2023 to US$8.0 billion by 2027. Market has expanded: The market for quantum computing has expanded beyond the traditional base of aerospace, drug discovery and financial services, healthcare, energy industry and even general business planning. From cloud to on-premise in the future: By making quantum computing a central part of their enterprise computing strategy, businesses are hoping to add a new line of revenue by delivering quantum computing via cloud. CIR research posits that in the future, we could also see a rise in on-premise quantum computing. 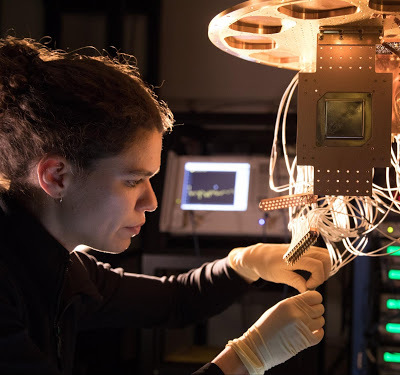 Startups fueling quantum computing software market: Not just big tech companies, startups like Rigetti have also jumped on the cloud bandwagon and are paving the way for quantum software market. By 2023, the market for quantum computing software is billed to touch a whopping $408 million, with 60 percent of these revenues from applications packages for cloud service providers. Quantum computing forecasted to grow: When it comes to the current Quantum Enterprise market, the biggest users are in the R&D space. By 2024 this share will be around 30% and the biggest revenue drivers will come from the defense/aerospace, pharmaceuticals/specialty chemical and banking/finance sectors. 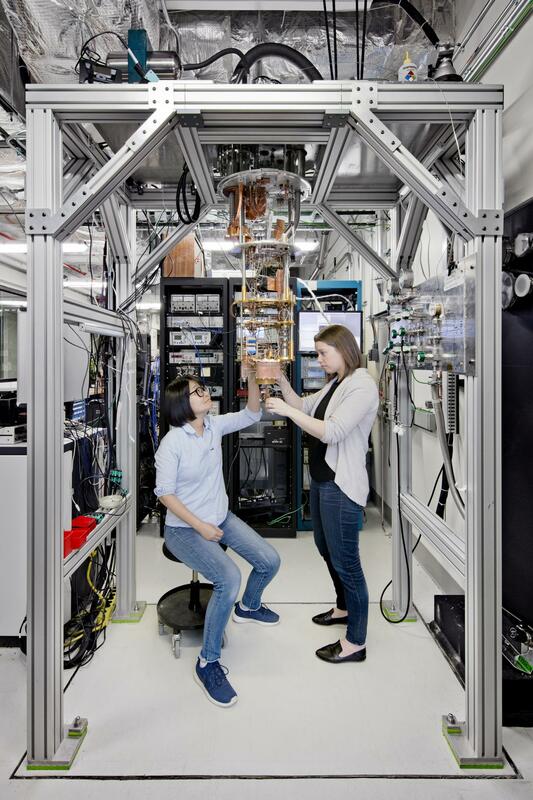 In the race to commercialize quantum, IBM has emerged as a leader and has made stunning progress in the area even though it has just been one-upped by Google recently. 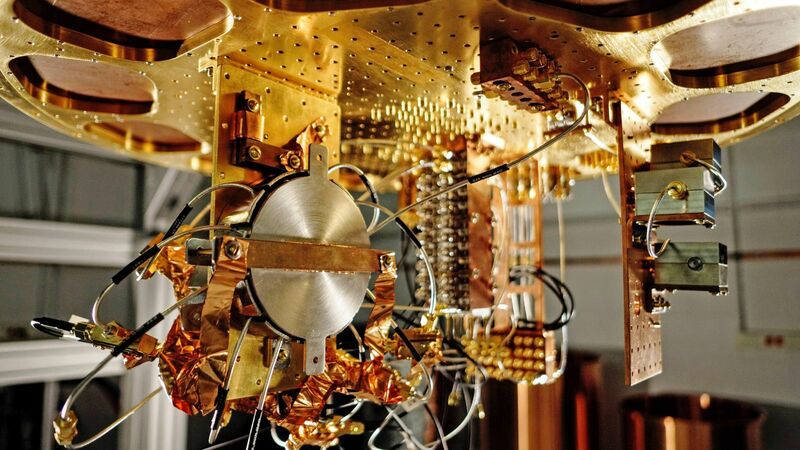 Google’s new quantum processor Bristlecone is 72 qubits and can work with low error rates. However, Google hopes that Bristlecone will become a “compelling proof-of-principle for building larger scale quantum computers”. Google’s Quantum AI Labs research scientist Julian Kelly also added that operating a device such as Bristlecone at low system error requires harmony between a full stack of technology ranging from software and control electronics to the processor itself. Getting this right requires careful systems engineering over several iterations, he noted. According to tech writer Alan Radding, for quantum computing to succeed – companies need an ecosystem of vendors, developers & programming models to facilitate quantum adoption. IBM’s industry first initiative to build an ecosystem: IBM has made significant progress in the area by building a global ecosystem for quantum computing – academic institutions, research companies, enterprises such as Materials Magic (Hitachi Metals Group), a community of scientists, engineers, professors, investors and even startup founders. Their academic partners range from Oak Ridge National Lab to Oxford University and University of Melbourne. Open sourced Quantum Computing SDK: By releasing the open-source quantum software development kit, QISKit, IBM is advancing its quantum technology and systems and fueling adoption of quantum computing. Helping enterprises become quantum ready: To help companies adopt quantum faster and make it a part of their tool box, IBM has also rolled out IBM Q Consulting to help enterprises become quantum ready and gain significant value through the application of quantum computing technology. The big tech giant has brought on board scientists and industry experts to provide its clients with customized roadmaps and become quantum-ready. Era of cloud: IBM brought quantum computing to the cloud, second after Canada-based D-Wave – in May 2016 the company made quantum online which meant that the company went to great lengths to make it easy to use for researchers and physicists who lack the experience of working on quantum computers. Even though D-Wave was the first to bring quantum to cloud (also showed a market for these machines), launched its quantum computing service on the cloud in 2010, it’s machines could only run a limited number of quantum algorithms. IBM’s popularity has soared: As opposed to D-Wave’s quantum computers, IBM’s quantum computer, demonstrate “more general in its capabilities and at least in theory are able to run any quantum algorithm”, Jerry Chow, manager of experimental quantum computing at IBM’s Thomas J. Watson Research Center in New York to IEEE Spectrum. Since the advent of quantum into the cloud, IBM’s popularity has soared and its quantum processor available via IBM Cloud has gained around 40,000 users from more than 100 countries. IBM has made quantum a consumable entity: According to IBM’s Jerry Chow, the Quantum Experience has gradually built up a community interested in quantum computing – a bold step towards making quantum more consumable entity. Released new APIs: Last year, IBM also added new APIs to Quantum Experience to help researchers build more sophisticated applications. Dr Pande noted how despite several advances, there are still many challenges for quantum computing. He noted how quantum computing has turned a corner from being a scientific to an engineering problem. So, how can overcome the engineering challenges? By following a full-stack approach that enables rapid testing and pushing innovation at all scales, from gates to chips to fabs to programming languages. It’s a view seconded by Google’s Kelly, who also noted that operating a device like Bristlecone at low system error requires harmony between a full stack of technology ranging from software and control electronics to the processor itself. Also Read Is quantum computing the next big thing to disrupt AI and machine learning?